It took us quite a bit of time and efforts to create this unique plug-in… Here is the full story, in a few words and pictures! For electric guitars, we needed all sorts of pickups and bodies combinations: modern and vintage strat-style single coils, classic humbuckers, jazz pickups, P90s, tele-style single coils, modern humbuckers, vintage 50’s and 60’s humbuckers, full hollow bodies, semi-hollow bodies… That’s quite a lot of guitars! Same for acoustics, with different body shapes and different types of wood. Most (if not all) the solid body models were also used later to test the plug-in: does it work well on all these instruments, even the most exotic ones? 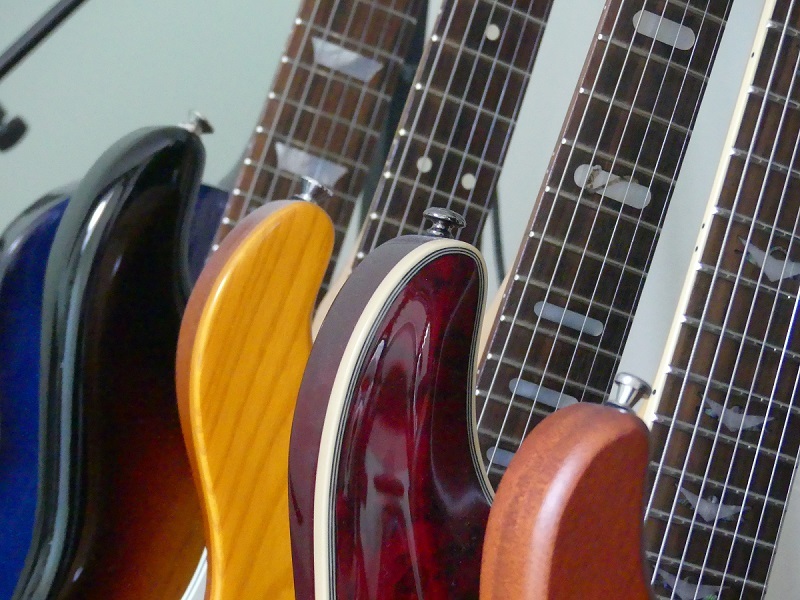 Can we really make all these guitars sound good with our simulation? 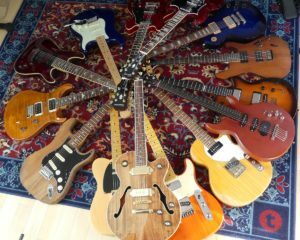 Once there were enough guitars to play with (well… There are never enough guitars, are there? ), we did both measure the electronics only and the overall guitar tone when played – with different cables brands and lengths, as size definitely matters for the tone here! 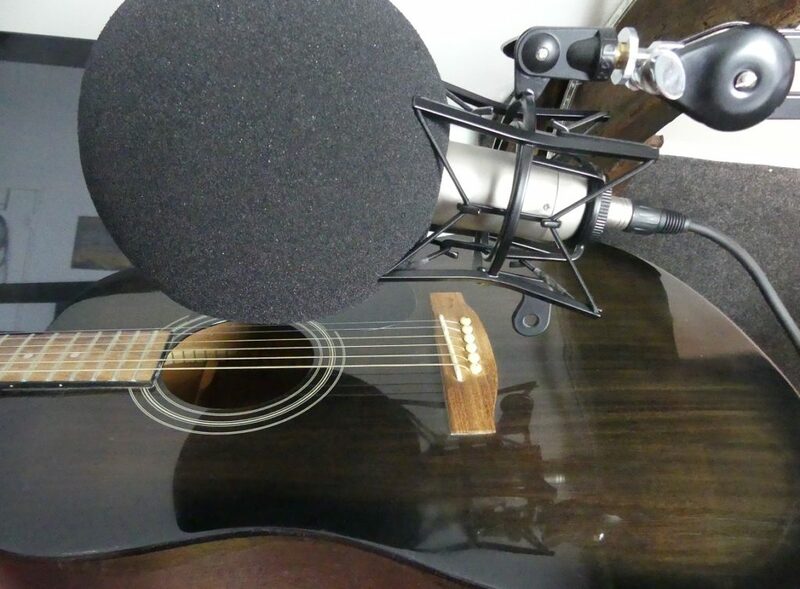 Measuring acoustic guitars: the ball of foam around the microphone helps attenuating the reverberations of the room. All sorts of measurements, comparisons and listening tests were performed to find out what actually makes the tone of a guitar, because it’s not that simple :-). 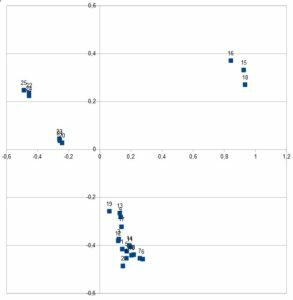 We used our own analysis plug-ins as well as other in-house tools to perform the analysis and compare models. This gave us a good idea of what has an impact on the guitar tone and what can be ignored. So we could start working on a perceptual model for the guitar tone (a model that defines how it sounds, not how it works internally). Of course acoustic and electric guitars were treated separately, as we found out early in the process that their characteristics were so different that they could not be modeled with the same equations. 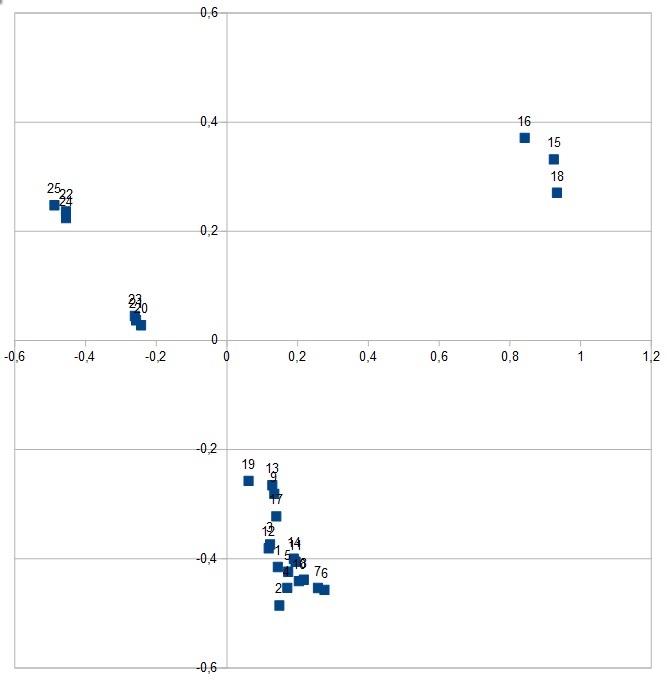 Then we took all these measurements together with our perceptual model to run deep statistical analysis, refining the parameters and choosing the right values for each type of pickup and acoustic model – values that at least worked well on paper. 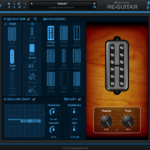 So it is not impulse responses, pre-recorded sampled instruments or static pre-measured responses that you can hear with Re-Guitar: it is a dynamic model that is modified on the fly – hence the ability to create your own pickups and acoustic simulations. With all these measurements and statistical modeling done, we could built a prototype (with the Plug’n Script plug-in). 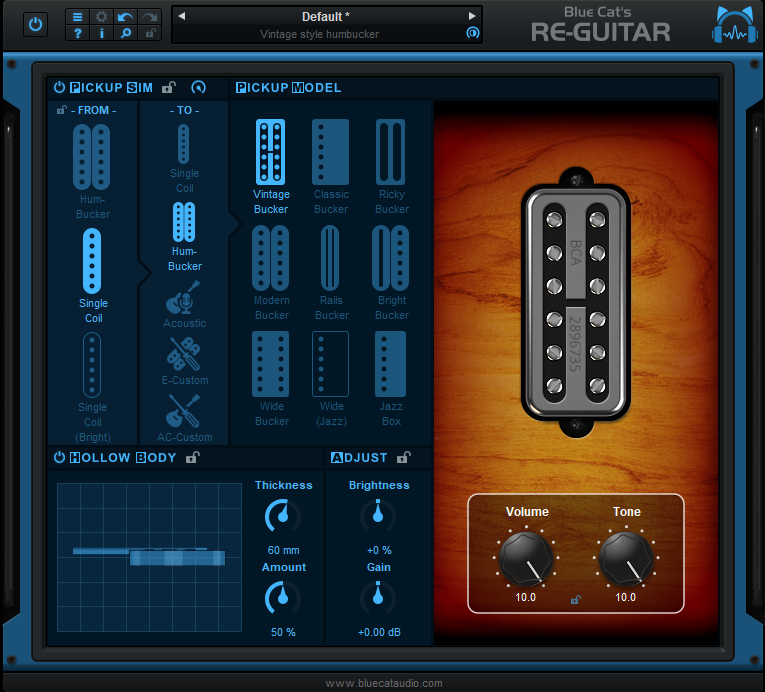 The next step was to try it in the real world, with different guitars and amp models. 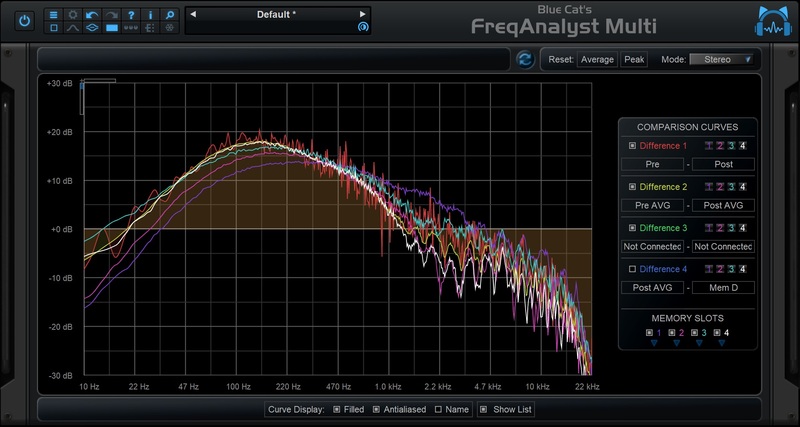 And then, the final and most important part of the dsp design process: refine it by ears. 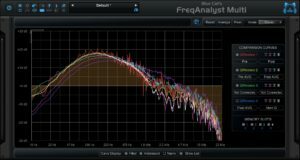 Indeed, just like for the amp simulations with the Destructor plug-in, measurements are just the very first step: it is necessary to refine the model by ear, because at the end of the day, whatever the simulation, what matters is what you can hear. 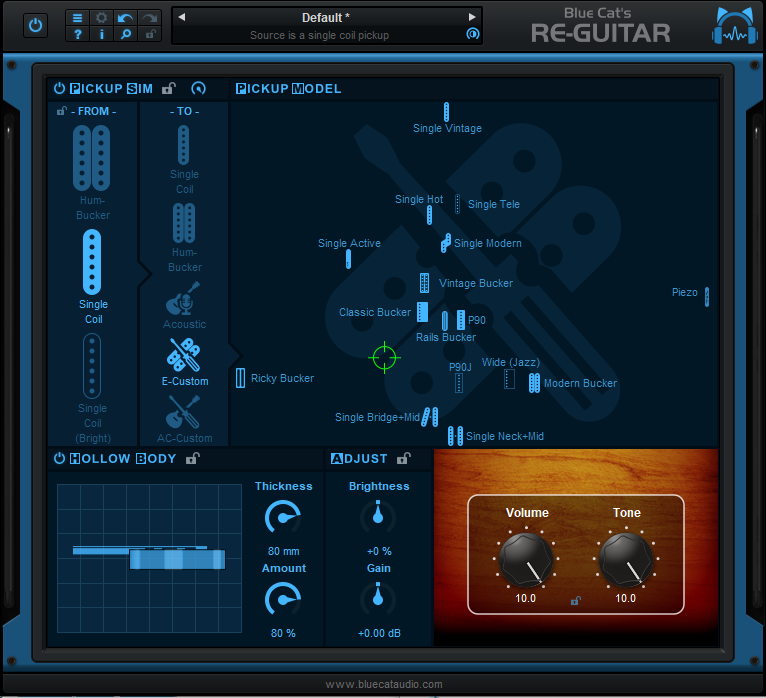 By the way, our idea with the Re-Guitar plug-in was to make the simulation sound as realistic as possible, in the context of a guitar with an amp (or amp sim). Because who care about the raw sound of an electric guitar? This part of the job was the most painful as ear fatigue comes pretty fast. You cannot spend the whole day comparing guitar tones: after a few hours they just all sound the same – really bad! After a while, it sounded good enough to actually make a plug-in out of it – a product that could be used outside of the lab! This step took a long time too, because we wanted to keep the plug-in as simple a possible, despite the complexity behind it – the custom pickup part for instance was quite challenging. Also, we wanted to build a tool that looks attractive, because this is inspiring, too! 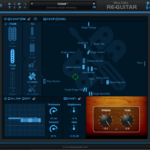 It was a long journey, and we learned a lot about our guitars while developing this software. We hope that we have managed to build a tool that helps you find your own guitar tone, saves you time and money, and have fun creating music! This entry was posted in Behind the Scenes and tagged Re-Guitar by bluecat. Bookmark the permalink. Really impressive work. Thanks for sharing the story with us! Interesting. Nice to have a look in the lab.